Fiona Fouhy graduated in Fine Art at Central Saint Martins in 2007 and has been using printmaking in her art practice for the past 7 years. Her main medium is monoprinting, which she changes and develops according to the ideas in her work. She works experimentally in both large and small scale, including the production of animations (see www.fionafouhy.com). 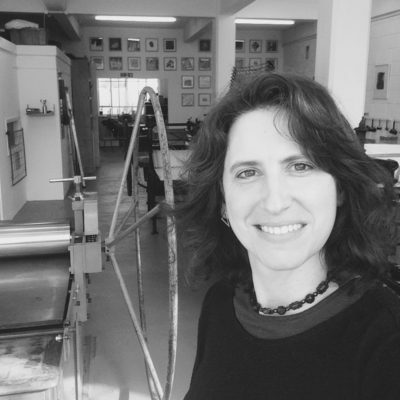 Fiona has taught monoprinting at East London Print studios and has done multiple printmaking demonstrations at galleries and events in the UK.